We are renovating the master bathroom in our home and removing the Jacuzzi tub. Do you have any suggestions for how to use the space and make a comfortable, functional room? We see this more and more, as one of many new trends in bathroom design and renovation. Huge soaker tubs with jets were very common for a long time and some homeowners still really enjoy them. However, many people are realizing that they could use all of that space to have a large, comfortable shower and gain a little more floor space outside of the shower area as well. Larger showers are being requested with benches, rain shower heads, linear drains, and shorter or non-existent curbs. By using the right materials and construction techniques, what would have been an extremely expensive and difficult-to-build shower a few years ago is now much more attainable. New construction materials are a big part of this change. 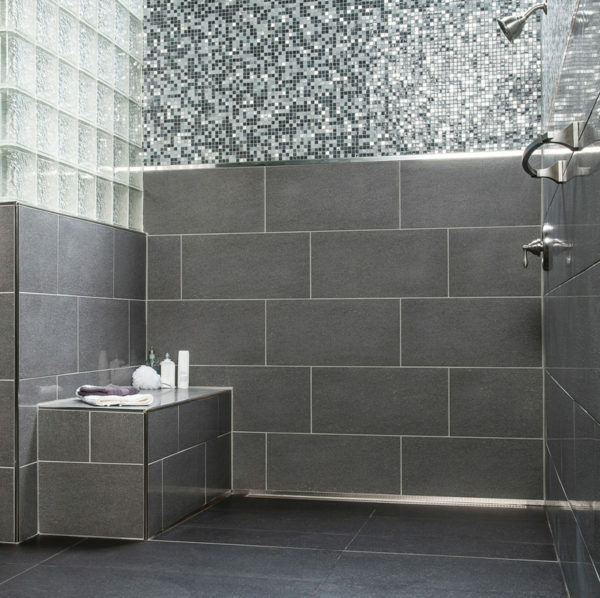 Pre-formed shower trays, ramps, benches and wall niches, as well as wallboard and building panels that come with waterproof membrane already applied, make it much easier and faster to build many different shower designs. 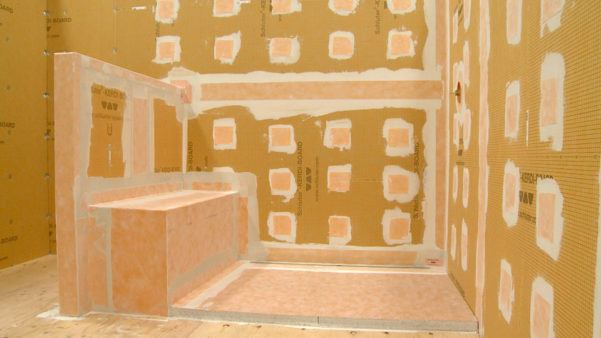 Materials like KERDI-BOARD from Schluter® allow installers to make completely waterproof structures in just about any configuration that can be drawn. Gone are the days when showers had to be a certain size with a 6” curb and a 4” drain in the centre. Linear drains, for example, can be located right along one of the shower walls so they are not very noticeable. These drains also allow for large format tiles, an extremely popular design choice, to be installed on shower floors. In many instances the curb can be completely eliminated so that the bathroom floor smoothly transitions to the shower floor and the space looks more like one unified room. Our advice is to think about what you want the room to be and then talk to an expert about how to make it happen. The realistic possibilities have changed dramatically in the last few years.